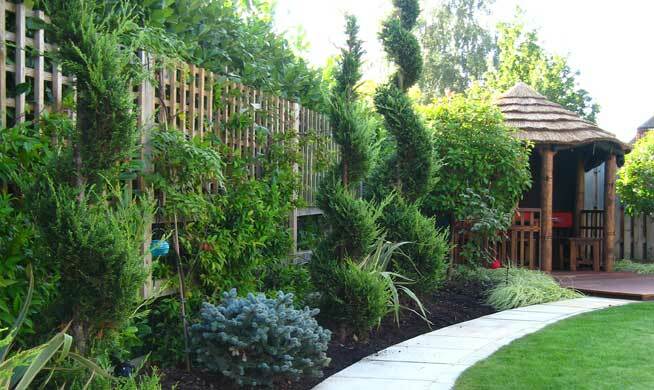 Most often forming the boundary to a garden, hedges play an important part in the overall look of your property, and are often what visitors and passersby will first notice. As well as the aesthetics of a well maintained and pruned hedge, it's also important to be considerate to your neighbours; left to its own devices a hedge will quickly grow out of shape and, as it gets bigger, affect how much light gets into your garden - and your neighbours' - and stop plants from getting much needed sun. Fast-growing hedging, such as Leylandii, really does need regular care; we recommend trimming back several times throughout the year. We'll also keep an eye on the health of your hedging, looking for any signs of disease that may require attention. As well as trimming, we can shape and prune; we can even make sure your topiary bushes are kept in pristine condition. Making your garden look better is our priority, so tidying up after we've finished is almost as important as the job itself. We'll collect up all the clippings for your compost bin or removal, whatever you prefer. If your hedge could do with a trim, call your local Diamond Garden Care team today. We’ll happily provide you with a FREE no-obligation quote.